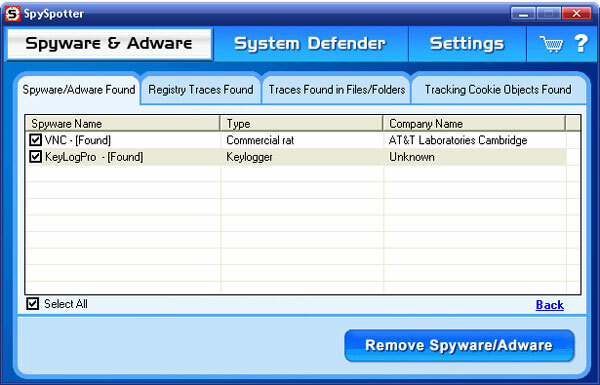 SpySpotter is the infamous corrupt anti-spyware program that uses ineffective malware detection technique and produces false positives. We have tested this spyware remover on absolutely clean computer that was never infected with spyware, trojans, viruses or any other malicious parasites. 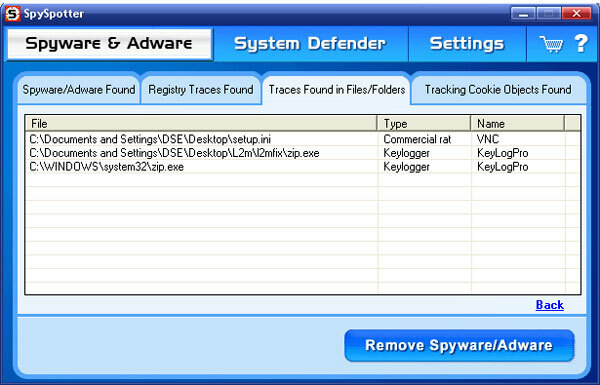 However, SpySpotter managed to detect 3 malicious files related to 2 different parasites – the VNC remote administration tool and the KeyLogPro keylogger. Further analysis revealed that all the files SpySpotter found were actually associated with fully legitimate software installed to the test system. The files C:\WINDOWS\system32\zip.exe and C:\Documents and Settings\[Current User]\Desktop\L2m\l2mfix\zip.exe belong to l2mfix, a fix/uninstaller for the Look2Me parasite. l2mfix is a legitimate, harmless utility that removes widely spread variants of the Look2Me threat. Another detected file – C:\Documents and Settings\[Current User]\Desktop\setup.ini is a part of the installation package of Fotonija Juodos Avys 2004, a commercial Lithuanian spell checker for Microsoft Office and Adobe InDesign programs. As you can see, none of the files detected by SpySpotter were actually associated with any parasites. This proves that the corrupt spyware remover uses false positives. See the first two screenshots provided below. 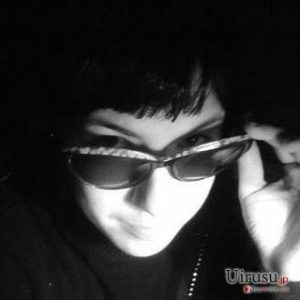 We have also tested SpySpotter on badly infected computer compromised with different parasites including some widely spread risks such as SpyFalcon and Surf SideKick. SpySpotter did not produce any false positives this time. However, it did not detect any objects of SpyFalcon or Surf SideKick. 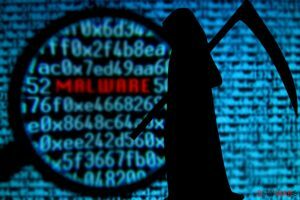 All the threats the program managed to find were tracking web browser cookies and SaveU SaveNow, well-known and relatively old adware. This shows that SpySpotter is definitely unable to provide reliable protection against the latest infections. Take a look on the next two screenshots provided below. SpySpotter incorrectly identifies well-known parasites. 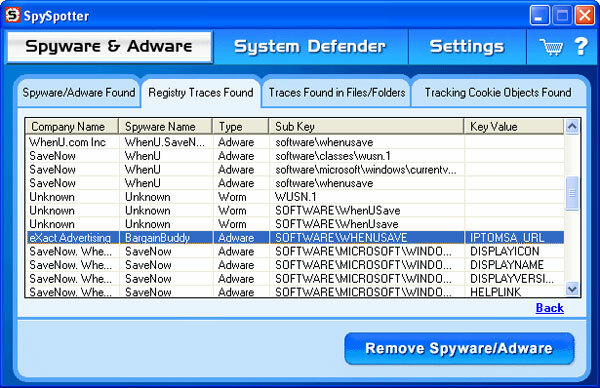 Our tests revealed that the program recognizes a few objects of the SaveU SaveNow adware as BargainBuddy and unkown worm. It must be noted that the latter threats have nothing in common with SaveU SaveNow. See this screenshot. SpySpotter has been promoted through aggressive and deceptive advertisements. Moreover, it was often installed by malicious parasites without user knowledge and consent. Some versions of this program bundle some unsolicited programs including hijackers and undesirable web browser plugins such as Oemji Toolbar. The free version refuses to remove any malware it finds. 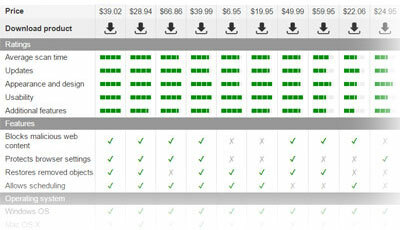 It asks the user to register and purchase the full product. The official web site is www.spyspotter.com. We DO NOT recommend purchasing and using this product! This entry was posted on 2014-06-13 at 11:22 and is filed under Corrupt Anti-Spyware, Software.